اشرفی, ابوالفضل. (1393). نقش لجستیک در مدیریت نظامی و ارتباط آن با مدیریت زنجیره تأمین و پشتیبانی. علوم و فنون نظامی, 10(27), 5-27. ابوالفضل اشرفی. "نقش لجستیک در مدیریت نظامی و ارتباط آن با مدیریت زنجیره تأمین و پشتیبانی". علوم و فنون نظامی, 10, 27, 1393, 5-27. اشرفی, ابوالفضل. (1393). 'نقش لجستیک در مدیریت نظامی و ارتباط آن با مدیریت زنجیره تأمین و پشتیبانی', علوم و فنون نظامی, 10(27), pp. 5-27. اشرفی, ابوالفضل. نقش لجستیک در مدیریت نظامی و ارتباط آن با مدیریت زنجیره تأمین و پشتیبانی. علوم و فنون نظامی, 1393; 10(27): 5-27. اصطلاح لجستیک؛ یعنی مدیریت سامانه های توزیع فیریکی که پیوند ناگسستنی با عملیات نظامی داشته و از زیر مجموعه های مدیریت نظامی محسوب می شود، اساسا منشا و خاستگاه نظامی دارد. با این وجود تعاریف، قلمرو و کاربرد دو اصطلاح «لجستیک یا تدارکات» و «مدیریت زنجیره تأمین و پشتیبانی» در زمره مباحث جنجالی بین صاحبنظران بوده است و نیل به فهم مشترک آنها، لازمه تقویت تعامل بین نهادها بویژه نهاد نظامی می باشد. در این راستا، محققان زیادی ضمن بررسی تعاریف مختلف، ماهیت کاربردی و فعالیتهای مندرج در هر کدام را از منظر کارکردهای مدیریتی بررسی کرده اند. در این راستا در این مطالعه، از دست اندر کاران فعال در عرصه های مختلف صنعت خواسته شده تا به سه سوال اساسی شامل چگونگی تعریف زنجیره تأمین، لجستیک و ارتباط این دو پاسخ دهند. تجزیه و تحلیل کمی-کیفی داده های حاصله ناظر بر عدم تمایز و همپوشانی آنها بوده و تعریف ارائه شده متأثر از تلقی دست اندر کاران از سازمان مربوطه می باشد. ازجمله نتایج حاصله از پژوهش حاضر که از تلفیق و تأیید آن با چند پژوهش علمی_تخصصی دیگر بوجود آمده، عبارت از این است که: واژه لجستیک، الزاماً به جریان فیزیکی کالا و مواد اشاره دارد و به جابجایی اطلاعات ارتباطی ندارد. زنجیرة تأمین نیز، شامل یک جریان لجستیکی است؛ در حالیکه حرفه لجستیک ناظر به برنامه ریزی، اجرا و کنترل جریان جابجایی کالا و خدمات است. وجه مشترک تعاریف این است که مدیریت زنجیره تأمین، نهایتاً به فرایند برنامه ریزی، کنترل جریان، ذخیره سازی کالاها و خدمات از نقطه مبدأ تا رسیدن به دست مشتری و مطابق با نیازهای آنها منجر می شود. Being highly significant in military field and national security of all nations, logistics mainly involves the management of physical distribution systems, which is inextricably linked to military operations and is identified as a branch of [military] administration. However, defining, setting areas and applications of them:“Logistics” and “Supply Chain Management” have been a hot area of controversy among the stakeholders. An agreed-upon definition requires interactions among the stakeholders especially the military ones. In line with this trend, some scholars have tried to elaborate the applied nature and activities included in each term from management and hierarchical relationship. This study asked the participants to answer three basic research questions addressing the definitions, nature, and the mutual relationships between the terms. Analysis of the data revealed that the terms are not much distinct as they are overlapping depending on their definition/s favored by the respective organization. However, logistics necessarily refers to transportation of goods and materials but no reference to information transfer. Meanwhile, definition of supply chain implies that logistics is realized within it in several situations. Moreover, supply chain includes a logistic process while the profession of logistics refers to planning for, implementation, and control of goods and services. The common core of all these is that this notion ultimately refers to a process of planning, control, storage of goods and services from the original sources to the consumers according to the latter’s requirements. درودچی، محمود و نیک مهر، نوید، 1386؛ مطالعه اهمیت و کاربرد فناوری اطلاعات در مدیریت زنجیره تامین، مجموعه مقالات چهارمین همایش ملی تجارت الکترونیک، تهران،. 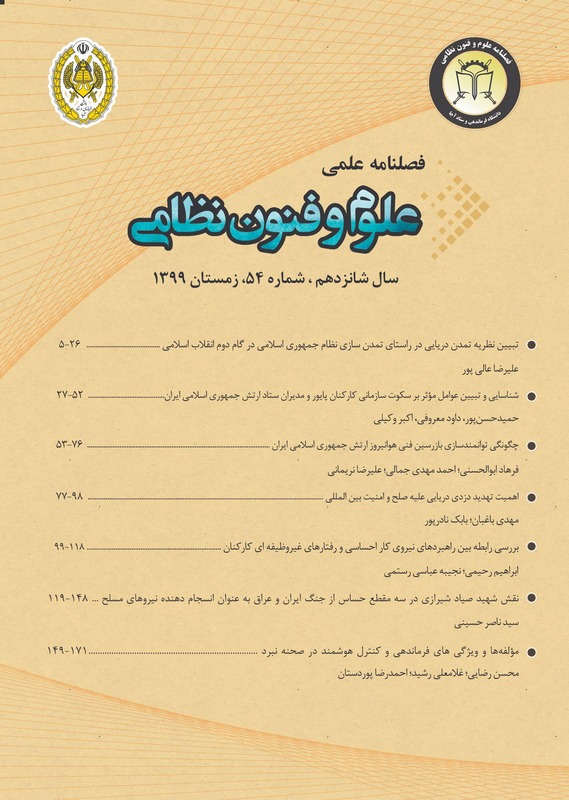 هوگوس، میشائیل، ؛1387، اصول و مبانی مدیریت زنجیره تأمین ترجمه محسن شیخ سجادیه و محمدرضا جوکار، انتشارات آدینه چاپ اول. Cavinato, J.L. (ed.) (1982), The Traffic Service Corporation , The Traffic Service Corporation, Washington, DC. Cooper, M.C., Lambert, D.M. and Pagh, J.D. (1997). Supply chain management: more than a new name for logistics, The International Journal of Logistics Management , Vol. 8 No. 1, pp. 1-13. Council of Logistics Management (CLM) (1998), What It’s All About , Vol. 4 No. 6., Oak Brook, IL. Cox, J.F. III, Blackstone, J.H. Jr and Spencer, M.S. (Eds) (1998), APICS Dictionary (9th ed. ), The APICS Educational and Research Foundation, Falls Church, VA.
ECR Performance Measures Operating Committee (1994), Performance Measurement: Applying Value Chain Analysis to the Grocery Industry, Joint Industry Project on Efficient Consumer Response , Kurt Salmon Associates, Washington, DC. Ellram, L. and Cooper, M. (1993). “Characteristics of supply chain management and the implications for purchasing and logistics strategy’’, International Journal of Logistics Management, Vol. 4 No. 2, pp. 1-10. Giunipero, L.C. and Brand, R.R. (1996). “ Purchasing’s role in supply chain management’’, The International Journal of Logistics Management , Vol. 7 No. 1, pp. 29-37. Johnson, J.C. and Wood, D.F. (1996), Contemporary Logistics , 6th ed., Prentice-Hall, Upper Saddle River, NJ. Kurt Salmon Associates (1993), Efficient Consumer Response: Enhancing Consumer Value in the Grocery Industry , Food Marketing Institute, Washington, DC. Lummus, R.R. and Alber, K.L. (1997), Supply Chain Management: Balancing the Supply Chain with Customer Demand, The Educational and Resource Foundation of APICS, Falls Church, VA.
Lummus, R.R. and Vokurka, R.J. (1999). “Defining supply chain management: a historical perspective and practical guidelines’’, Industrial Management & Data systems , Vol. 99 No. 1, pp. 11-17. Luttwak, E. (1971), A Dictionary of Modern War , Harper & Row, New York, NY. Monczka, R.M. and Morgan, J. (1997), ``What’s wrong with supply chain management?’’, Purchasing, Vol. 122 No. 1, pp. 69-73. Mullin, T. (1994), ``A new frontier’’, Stores, Vol. 76 No. 7, p. 10. Paschalidis and Liu, “Large Deviations-based asymptotics for inventory control in supply chains”, Operations Research, to appear. Bertsimas and Paschalidis, “Probabilistic Service Level Guarantees in Make-to-Stock Manufacturing Systems”, Operations Research, 2001. Paschalidis, Liu, Cassandras, Panayiotou, “Inventory Control for Supply Chains with Service Level Constraints: A Synergy between Large Deviations and Perturbation Analysis”, The Annals of Operations Research, to appear. Paschalidis, Su, Caramanis (2003). “Target-Pursuing Policies for Open Multiclass Queueing Networks, INFOCOM. Rodrigue, J.P. & Slack, B. (2002). Logistics and national security. Published in S.K. Majumdar et al. (eds) Science, Technology, and National Security, Easton, PA: Pennsylvania Academy of Science, pp. 214-225. Simpson, J.A. and Weiner E.S.C. (1989), The Oxford English Dictionary 3 , Clarendon Press, Oxford. Yannis Paschalidis, Military Supply Chains: A 10,000-Foot View of Methodological and Algorithmic Challenges, BOSTON University, November 15, 2002 ET Seminar @ Boston University, yannisp@bu.edu, http://ionia.bu.edu/ CISE & Manufacturing Eng.